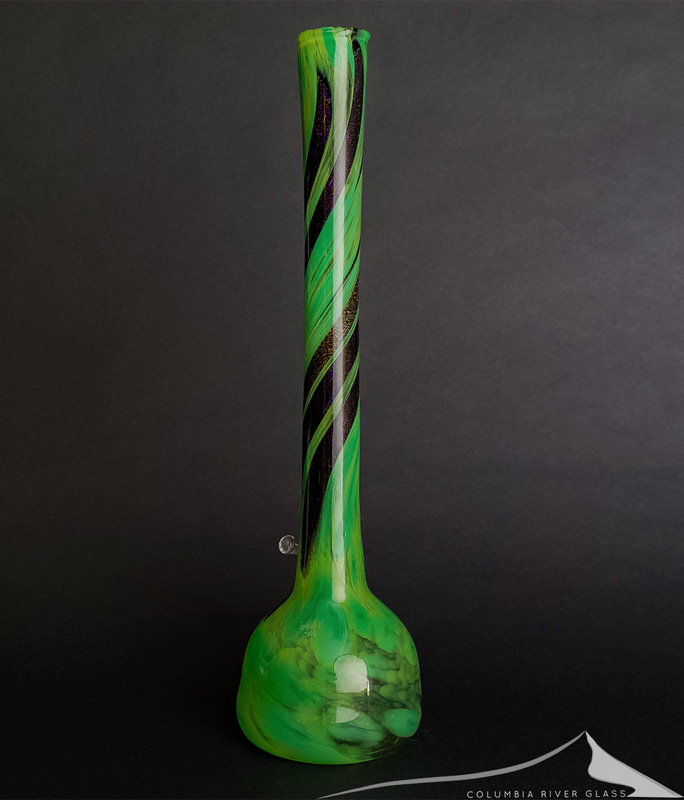 Beautiful new green vase bong from Special K Glass out of Eugene, OR! 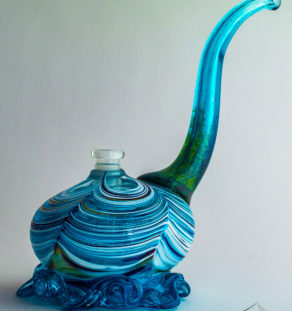 No wrap or base on this, just a hand-blown vase with a glass on glass stem. Clear/green pull has thick streaks of dichro in the neck and it reflects and refracts the light with purple, gold and blue dichro colors that look great against the green. Man it sparkles in the sun. 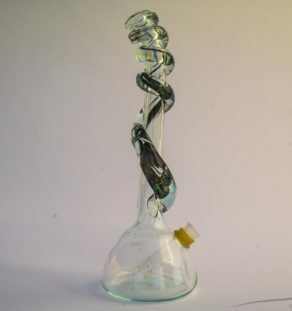 Since there is no additional glass weight of a wrap, base, or handle, this is a surprisingly light and easy to handle piece even with its rather tall height of 16.5 inches. Great function out of the percolated stem. Fantastic soft glass work from Special K and crew!